Rothy’s pointed toe flats combine elegance and comfort in a sleek package. Wear your pointed toe flats to the office, to your next cocktail soiree, or date night. 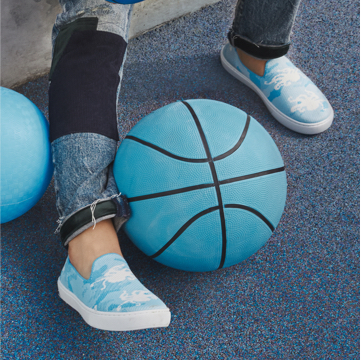 Dominate the boardroom or dance the night away with functional shoes that keep up wherever you’re going. Dress Rothy’s pointed flats up or down. From the office to happy hour, these pointed toe shoes can take you from Point A to Point B in comfort. Browse a variety of colors, ranging from Marigold to Teal Neon and everything in between. Add a pair of Rothy’s pointed flats to your wardrobe for a casually sophisticated look. Rothy’s pointed toe flats are crafted with sustainability in mind. They are made with recycled water bottles that were once intended for the landfill. After hot-washing the bottles, we fuse them into fiber, which is then knit into an impossibly soft yarn. 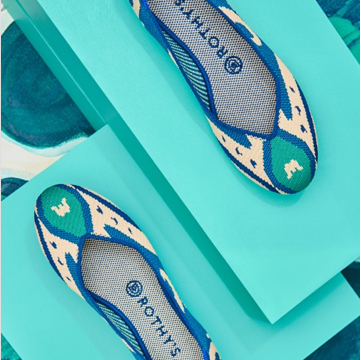 Our dedicated team uses innovative 3D printing technology to create Rothy’s pointed flats, allowing for seamless construction that hugs your foot. There’s no break-in period with our women’s pointed toe flats—they’ll fit great out of the box, and for many wears after. Your Rothy’s pointed toe flats are simple to care for; just toss them in the washing machine with cold water. Remove the insoles and throw them in alongside your shoes. Add mild detergent, turn the dial to the delicate cycle, and let your pointed flats air dry once clean. Voila! Your Rothy’s are ready to face another day, whatever your busy schedule has in store.